This cute BOM is another gorgeous design from Piece O'Cake Designs. This cute BOM is another gorgeous design from Piece O'Cake Designs. 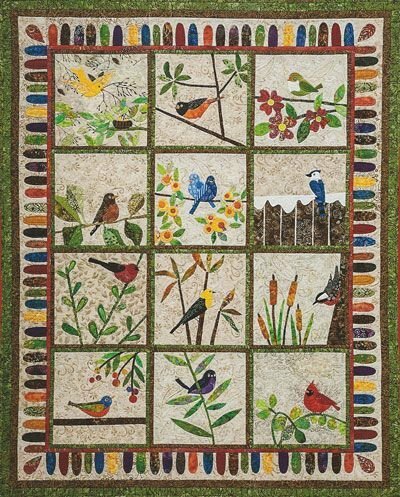 There are 12 applique blocks featuring bright colored birds on branches with leaves and flowers. The border is made up of brightly colored fabrics in the shape of feathers. Quilt measures (55" X 41") ***The applique pieces in this BOM are pre-cut & pre-fused. 7 months/$ 25.00, with a $ 10 registration fee.